Sounds wierd but true. 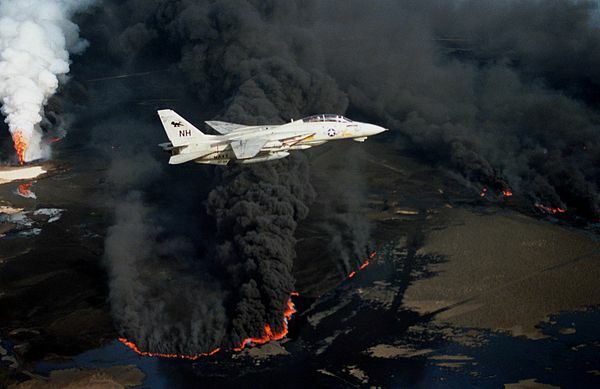 In 1991 there was this huge fire in oil wells in Kuwait. 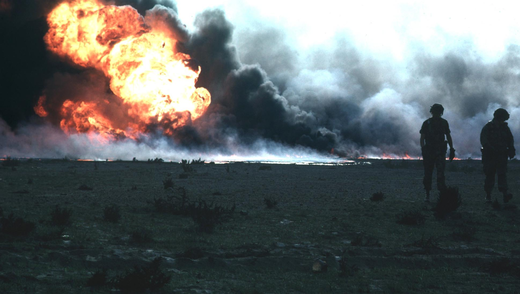 The fires were started in January and February 1991, and the first well fires were extinguished in early April 1991, with the last well capped on today in 1991. 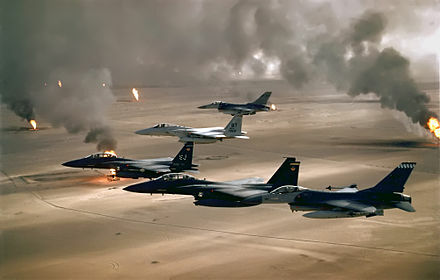 The Kuwaiti oil fires were caused by Iraqi military forces setting fire to 732 oil wells along with an unspecified number of oil filled low-lying areas. 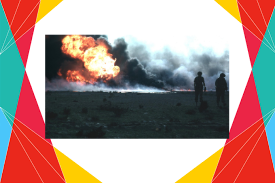 The oil fires caused a dramatic decrease in air quality, causing respiratory problems for many soldiers on the ground without gas masks (1991).